I had never heard of Phil Callaway prior to this book review. To be perfectly honest, I could not resist the pun, I thought he looked a lot like Larry David and was not sure what I was in for when I signed up for the book. Am I ever so glad that I did, because this was hilarious. 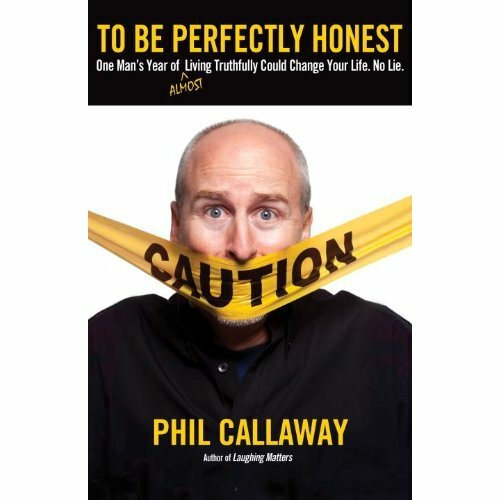 Callaway’s premise for the book (which is more like a journal or diary) was what he calls a “truth dare”. The challenge was to “…tell the whole truth and nothing but the truth for an entire year.” Think about that for a moment; to tell the truth and be completely honest with everyone. How would you do for one day? Imagine taking the challenge for an entire year. I feel I am a person that always tells the truth, but to be perfectly honest (sorry could not resist the temptation again) this would be a challenge. With that being said, if you have ever wanted to read something that is a filled with laughs generated from everyday life, then this would be a fun read. It is not a long book and reads quickly and easily. You do not have to take any challenges while reading this book, but you might be inspired to increase truth and honesty in your personal life. Click to Read Chapter One of the book for a preview. I think you’ll enjoy it, too. I received this book for free from WaterBrook Multnomah Publishing Group for this review.